Hello my fellow simmers, well the future is looking very bright at the moment for xplaners, and the present looks even better with this new release. Let me warn you now there is a danger that I will run out of superlatives very quickly whilst making this review. First and foremost, and let’s get this out of the way straight off …. go and buy this plane now! Ok that’s the review over with. Time for coffee. Joking aside this aircraft is absolutely astounding and the developer has poured his heart and soul into every aspect of this B25 Mitchell. I only hope that I can convey to you through the use of the English language exactly what I think of this model. I’m not old enough to have seen one of these flying in the real world and my whole experience of the B25 Mitchell is seeing static displays and watching countless old grainy black and white films as a child on BBC on a Sunday afternoon with my Dad sleeping and my Mum washing the dishes in the kitchen from Sunday lunch. As a child I always wondered how those ugly ungainly planes managed to get in the air, all the angles looked wrong and that strange tail section just didn’t look right, but that is the beauty of flight. It’s a wonder that 16 of them took off from USS Hornet (aircraft carrier) in the Doolittle raids. Once in the air the B25 comes into it’s own and does exactly what it’s supposed to do, it’s not the prettiest plane in the world but it does have some magic about it and that might be something to do with the part it played in history or some other untangible element. 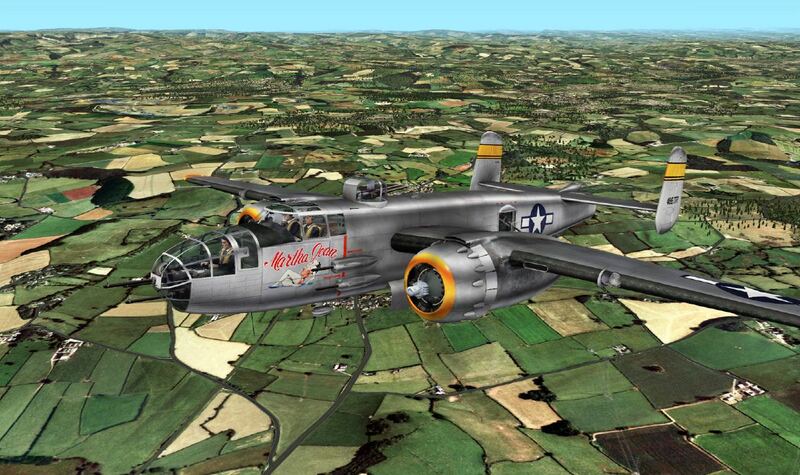 To date there are approx 100 surviving B25 Mitchells many are static displays with about 45 still airworthy. As always this is so simple it defies logic, simply download your purchased from the www.x-plane.org store and then unzip the zip file to your aircraft folder. As I have commented before I have created a folder structure within my aircraft folder which makes sense to me. So I Installed the B25 to my military folder. 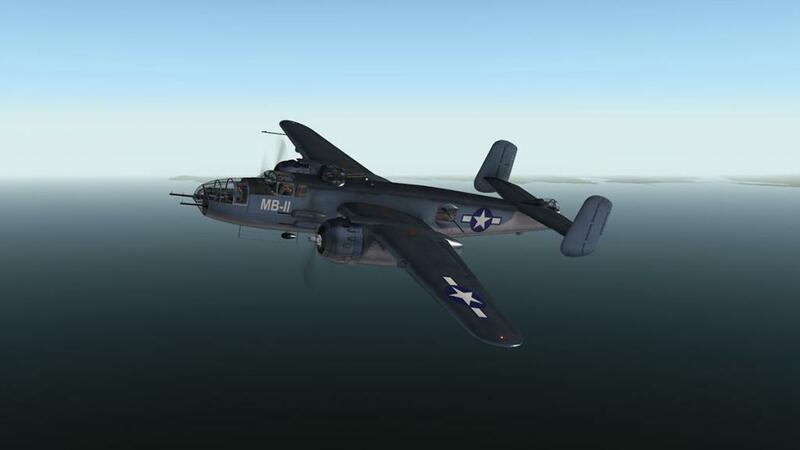 Opening X-Plane and going to the aircraft selection panel I see the B25 Michell and when I click on it , it displays a picture in the lower panel of the aircraft. Superb. 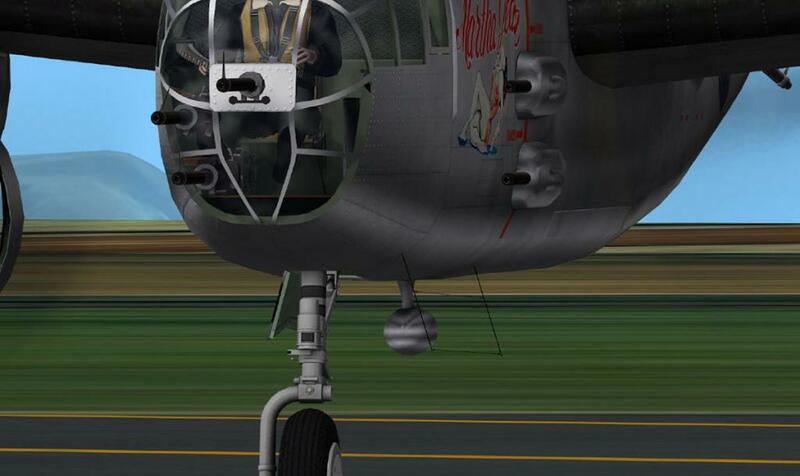 There are the usual folders located within the B25 folder including the weapons folder and interestingly and for the first time I see a LUA file for the avionics. The Manual is also located here and I have to say whilst only 20 pages long it has everything you need to know regarding the aircraft . On the quick start page there is a blog address for support which I thought was a useful addition. There are no recommended settings other than a FOV setting, which is also another good idea as most users will have different settings from each other and settings personal to them and their machines. there isn't even a recommended system specification as Khamsin are quite sure that a modest machine can run the aircraft. Personally i still think simmers should be looking at i5 cpu machines with 8/16 gig of ram and a 2gig gfx card for best results. I loaded up at RAF St Athan just a few miles from the capitol city of Wales, Cardiff. St Athan was an active airfield during WWII and was also a Spitfire engineering base during those years, So it seemed like a good place to start with this aircraft. Sitting on the tarmac once again I was struck by how ungainly it looks but walking around doing a check showed the beauty of the aircraft. 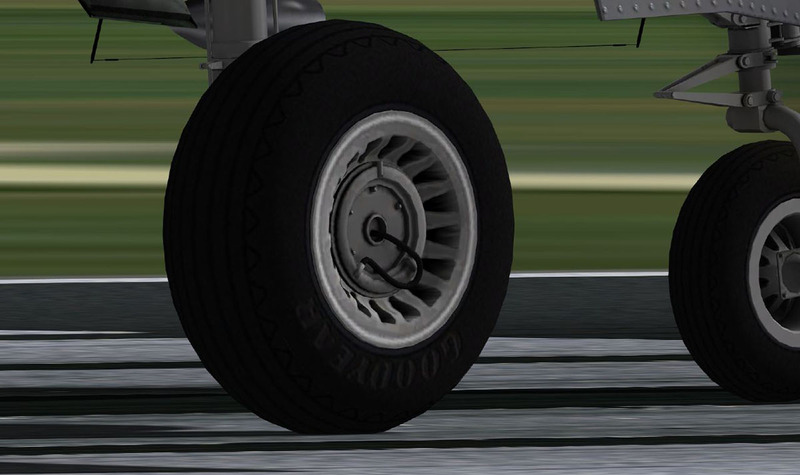 Checking the Goodyear nose wheel tire I almost managed to break the arials protruding from the belly of the aircraft luckily i saw them just in time and was able to go around the front look at the plexiglass nose gunners positions and check the guns where clean. The detailing is just brilliant with every rivet showing just perfectly. You feel as if you could run your fingers over them and feel the bump. 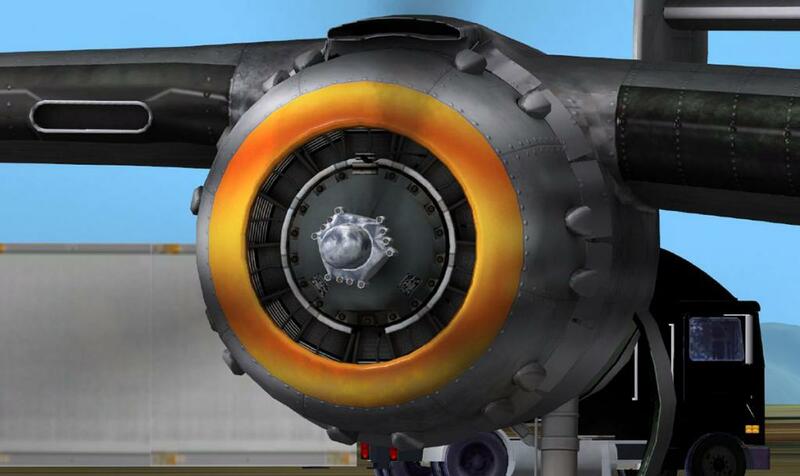 Moving around to the starboard Wright R-2600-13 Cyclone 14 radial engine the vents are open and the growl is just sweet. 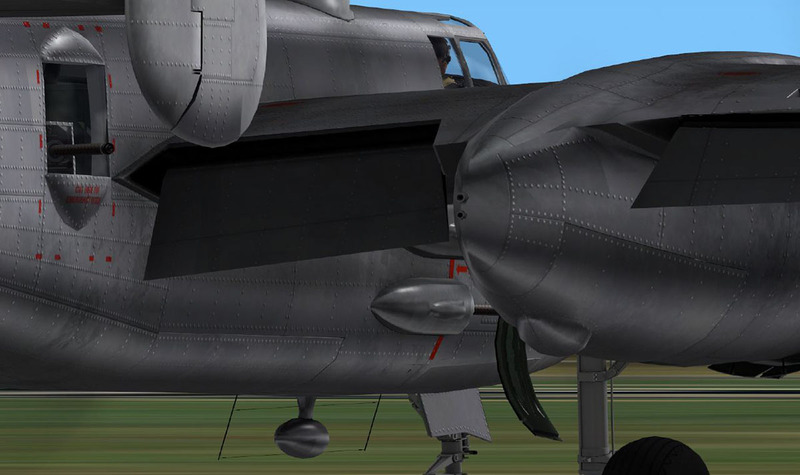 The sound of a radial engine is something to behold and the sound pack for this model is very good indeed. 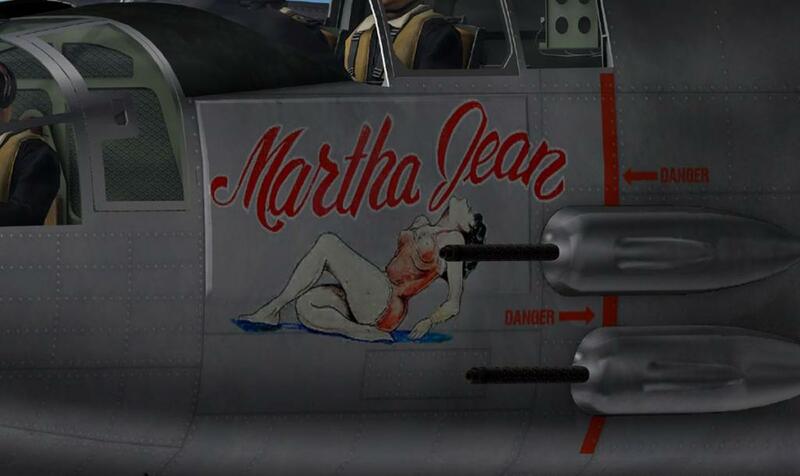 Martha Jean is lounging under the cockpit window and I know I didn't hand paint her on there so it must have been one of my crew. Coming to the rear of the engines as I continue the walkaround you can see the slight undulations in the skin of the aircraft and I just marvel at the skill of Khamsin. Moving back towards the tail section and looking at the gun emplacement the number of rivets just defies counting , every thing just looks so good. The main under carriage with the Goodyears looks sturdy and heavy and appears to have mass, also they are attached to the wing inside the landing gear bay, not just hanging in middair trying to fool us. The flaps are operating as they should and when full deployed look like the proverbial barn doors, the scale of the aircraft is perfect and when you look in the manual and see some of the technical drawings you can see that Khamsin have spent a considerable amount of time on this model, making sure that it is just right. One thing I have noticed in this walkaround is that I must at sometime or another get the bird cleaned, the oil streaks and dirt from the aviation fuel is making rather a mess of the aft fuselage area and the wings. 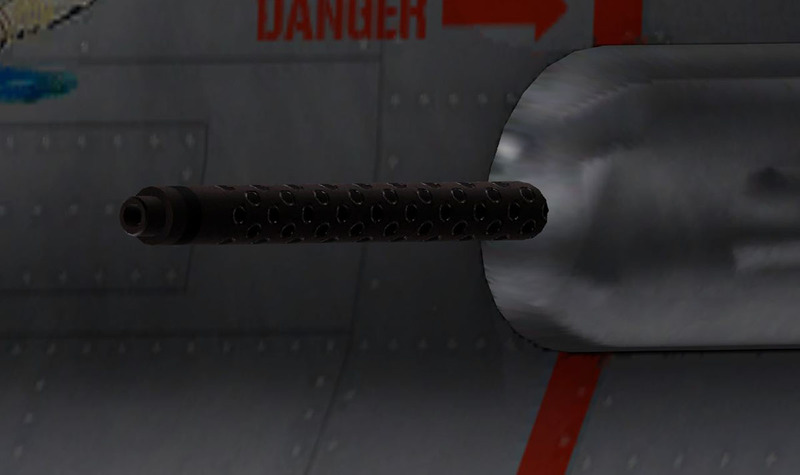 The plexiglass forward gun position has been drawn with love and care and once again the riveting is a work of art, the reflection of the plxiglass is simply stunning although I must admit I think the thousand yard stare of the gunner is a little weird and I found him to look a little freaky. The pilot and co-pilot look great wearing period clothing and their Ray Bans. They even have life preservers on. I have to be honest here and say I find it very difficult to find anything wrong with the external modelling of this aircraft. I will even go so far as to say this aircraft alone could help Xplane cross over from niche market simulator to mass market appeal. It is without doubt eyewateringly good to look at. The CRJ200 drew a line in the sand for others to match, then Ramzzess T7 crossed the rubicon, This aircraft firmly establishes the standard for all to match in the future, I know we have the FlightFactor 757 due out very soon and that will push the limits further again, what this tells us without a doubt and that is X-Plane 10 is the only flight simulator to have on your computer. Moving into the cockpit and cabin area your eyes are in for a treat. This cockpit is one of the best I have seen on any sim, once again the superior quality of development can be seen almost immediately with all dials gauges clocks and indicators being crisp sharp, the ultra high definition treatment that the outside has, has been applied to the interior. The VC is so perfect that at certain angles you feel as if you could wipe your finger around the inside of any gauge or dial to remove the dust. If there is a fault with the cockpit it would be it looks just a little to new, a few more scratches and scuff marks would look really good, that said though it still looks fantastic. The main panel is full 3d and you can look at it from any angle and see the superb work that has gone into it. All the dials move smoothly with no lag or stutter. The main instrument panel has over 45 switches and dials. with only a very few being inoperative. The night lighting is a little dark but very effective and sets the mood just right as you fly into the night. 1) shadows, as the sun goes across the sky. 2) reflections on the cockpit glass. I'll say no more and hopefully the images will convey what I mean by this. The pilot and copilot windows open with an animation that is so smooth you can't help but wonder did Khamsin use virtual 3in1 oil on the runners. Marvellous. Open the windows and looking left or right you see the engines and props. just what you need if you need to check an engine fire, no need for an external view. Khamsin has another surprise up their sleeves with the quick view option which is already setup for us, and by using the numpad on the keyboard you can fly about the aircraft to 10 different positions including each of the gun positions and various views about the cockpit. It feels as if Khamsin have looked at what is being done right now with some other aircraft and added their magic dust to how they want to implement the same feature. One complaint, so this will make two so far what with the spooky looking nose gunner, and that is all the switches and knobs etc have the same sound effect, it's not a deal breaker but I feel I have to mention it, also it doesn't matter where you click whether it be on a switch or a part of the front panel bulkhead you will hear the sound effect. So continuing in the cockpit every thing is where it should be, Pilot Light switch panel, Co-Pilot Radio Panel, Central Column and Pedestal all wonderfully recreated. 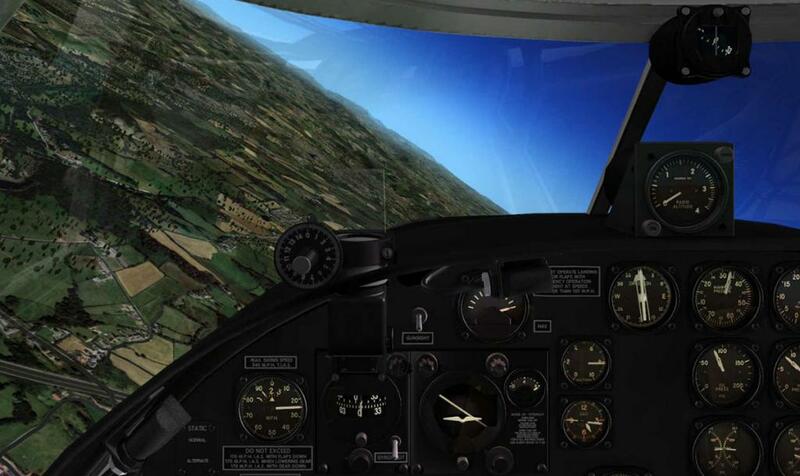 The auto pilot is rather rudimentary and accurate for the time of the aircraft and works adequately enough as one would expect for the technology of the day. Interestingly enough when I turned it on it did activate my Go Flight MCP PRO as well, very cool. This aircraft also has seven fuel tanks all managed from the fuel tank panel to the right of the co-pilot below the window. 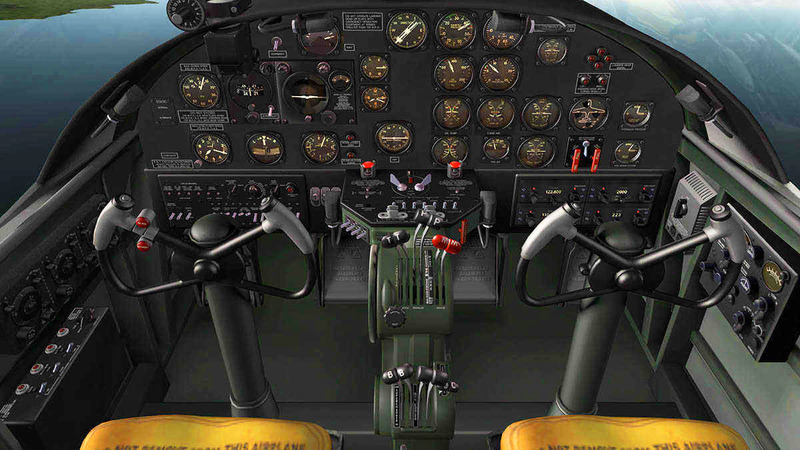 There is another innovation in the cockpit and that is the popup checklist which you access from a little badge to the left of the mains instrument panel that says CHECKLIST, click on that and a clipboard pops up with all the common checklists. 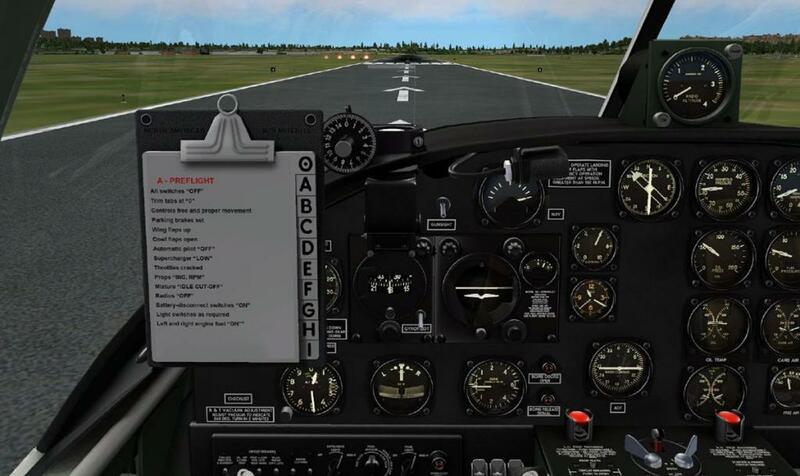 These checklists will help you through every phase of flight, a very nice addition. Living in Cardiff South Wales where better to start my first flight but at RAF St Athan, the engine start up routine is pretty straight forward and the checklist guides you through the procedure admirably. It's not the easiest aircraft to keep in a straight line on the runway and I found myself working the pedals furiously but with one stage of flap at about 70 knots I lifted off the runway still pumping the pedals like mad. One has to remember this is not a jet aircraft and so no 15deg nose up climbs you gently coax the aircraft into the air and then build up speed. She has a tendency to pull to the left but with all the torque of those engines this is no surprise and some trimming up alleviates that issue almost immediately. 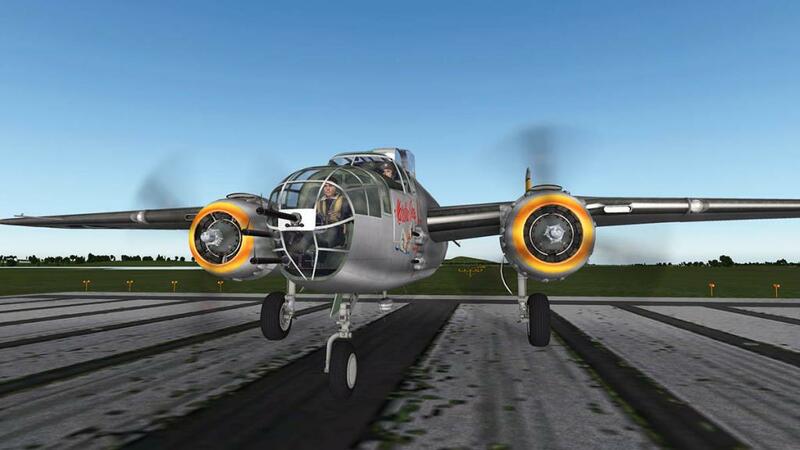 The first flight I did I could barely hear the engines and it wasn't until I turned the engine sounds up to about 75% in the volume setting could I hear the growl of those lovely radials. Once airborne and settled at about 60% rpm she settles down and is a joy to fly. So I headed due North for Castle Coch and a flight through the South Wales valleys. Low and slow was the order of the day and to be honest nothing much exciting happened. Coming over the top of the BRECON VOR I decided to let loose my guns and what a delight to see the puffs of smoke and see the tracers streaking ahead of the plane. 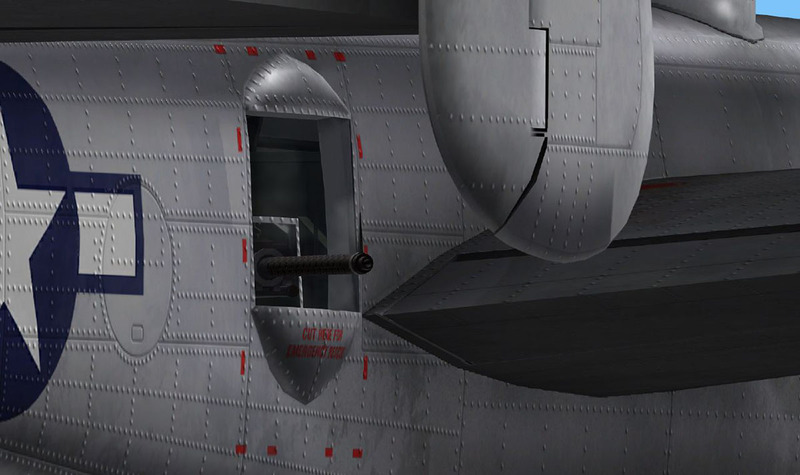 The gun control and bomb bay door opening switches are to the left of the pilot below the window. 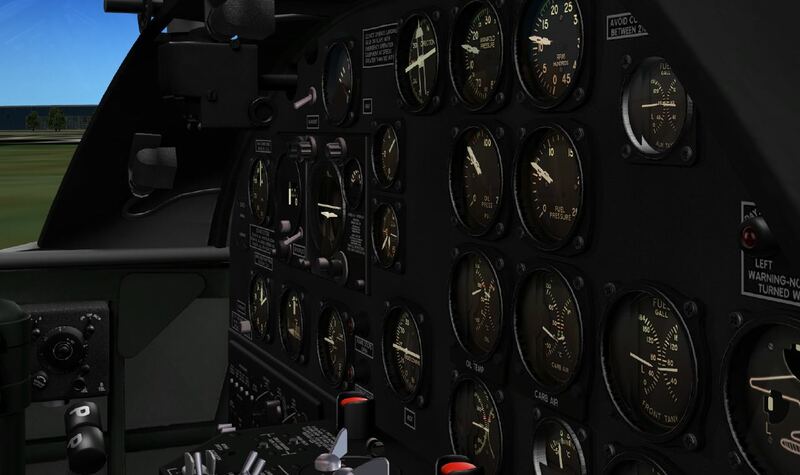 There are buttons on the yoke for both guns and bombs but I set up some buttons on my Saitek x52 controller for guns and bombs through the settings panel in Xplane. The bombs deploy which is great fun and of course you have the weapon view that allows you to follow your bombs. Now I have never flown a real B25 Mitchell so I can't tell you whether the flight model is correct or not, but what I can say is that if this replicates the real world flight model then Khamsin have done an excellent job and as I came into land at St Athan I could feel the crosswind pushing against the tails and making me slip sideways. I missed the approach to St Athan so decided to land at EGFF runway 12, it was hard going and after being pushed well left of the runway I managed to get back on track but it was a crosswind landing the likes of which I wouldn't like to make again. My feet where going crazy on the pedals and I had opposite aileron applied and still somehow managed to get the plane down, rolling out was still tricky but I managed it and pulled up safe and sound. Exhilarating is all I can say. I'll be honest being a reviewer can be fraught with difficulties, the hardest thing is producing a piece that is balanced, you want to give a fair review so that the purchaser you and the developer feel that the reviewer has acted impartially but provide an informative piece. This aircraft is I believe the one product that will push X-Plane 10 from the niche flight simulator market to mass market appeal. The ultra high definition texturing and 3d modelling is amongst the best I have seen. Khamsin has set down a marker with this aircraft for others to follow. It shows us what can be done with the X-Plane environment and I suspect that there will be plenty of developers looking at this model just to see what Khamsin has done. I have only found one complaint which I feel sure will be dealt with via an update and that was the switch effect being the same on all switches. So what's my recommendation, it's a simple one. Go Buy it now. 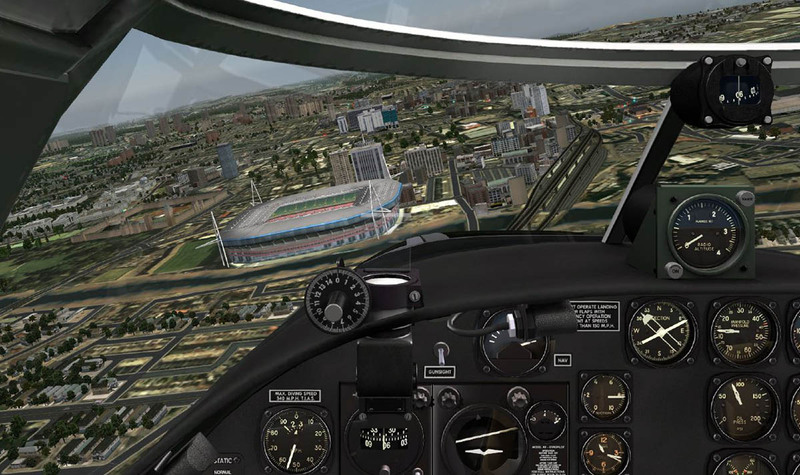 Finally regarding FPS on my machine I was achieving 30fps in most areas and as I flew down into Cardiff City Centre to have a look at the Millenium Stadium it was mice and smooth, as we know the real trick with Xplane is to manage the settings I have been told mine are quite high, I have altered them to a lower settings but I always go back to the previous ones, by altering the visibility range down to about 5 miles the FPS will jump upto about 40fps. 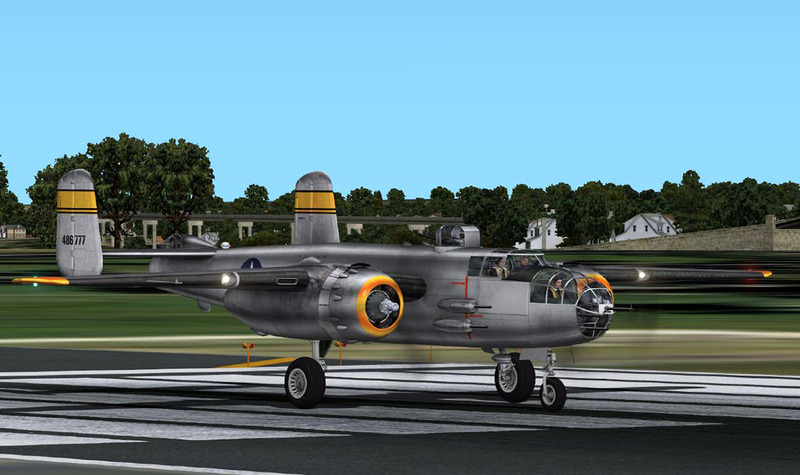 This is the one aircraft you need in your hangar without a doubt. You will have hours of fun and I bet you will spend an hour just looking around it and taking screen shots the first time you load it up. I'll say it again this is possibly the finest X-Plane aircraft on the market at the present time. So there you have it, have you bought it yet. 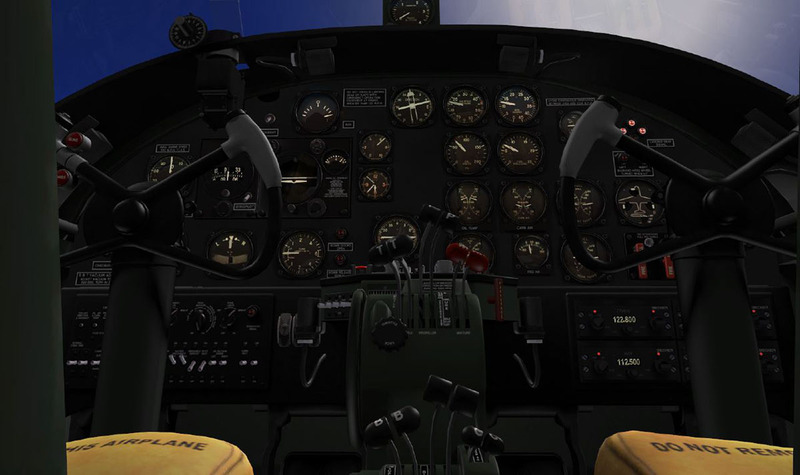 I know what you mean about the rudder pedals but you get used to it and can control it normally if your rudder pedals have sufficient resolution. You have to move the pedals in minuscule increments and actively dampen yaw oscillations. I've seen some of those black and white grainy films out the nose of B-25s that showed yaw oscillations, so I'm guessing that some instability is normal. On the other hand, the sensitivity of the yaw control may have another explanation. I'm familiar Khamsin's Chipmunk and it can be controlled very near the stall speed because of that extra control authority. 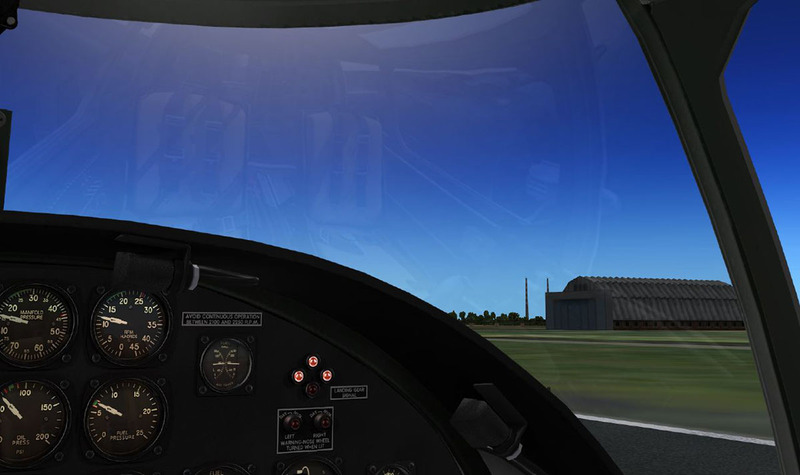 In fact, when you're hanging under the prop, dragging the plane in, it can be controlled entirely with the rudder. Khamsin's B-25 can be controlled the same way. It's a little less stable than the Chipmunk but you can control it at angles of attack that would drag the tail if you touched down. 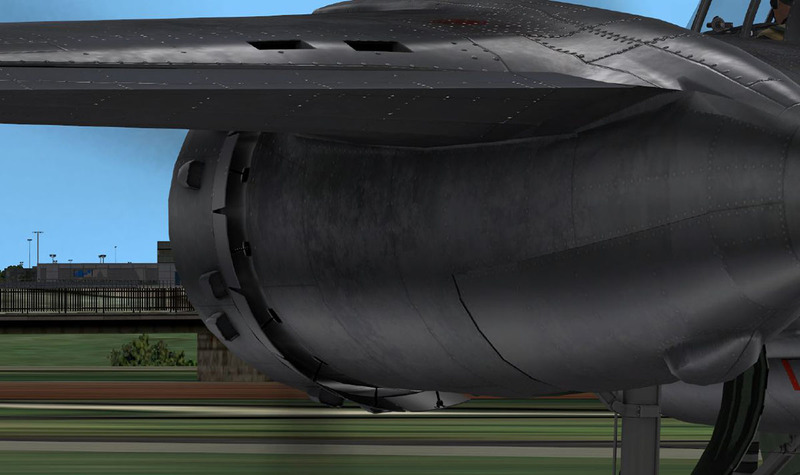 I love flying this plane; it feels like flying an STOL aircraft. The only thing I found that is a little inaccurate is that the stall speed seems to be above 90 knots. Everything I've read indicates that the stall speed should be around 80 knots with full flaps and no load. 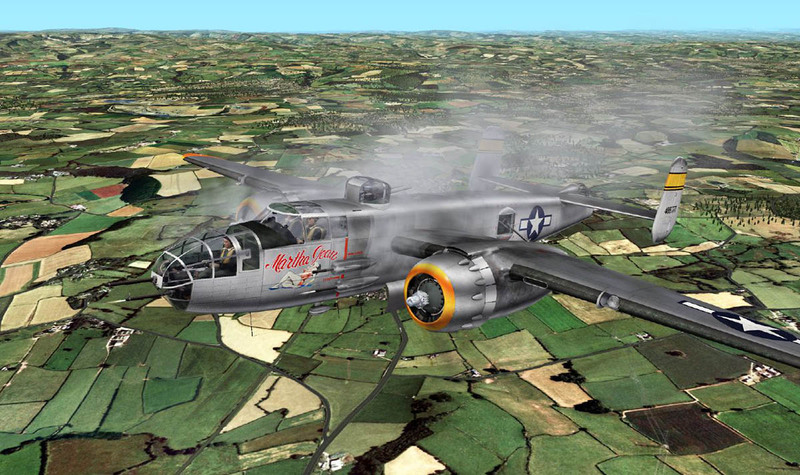 I've actually seen a clip in which a B-25 pilot says that he'd flown it at around 65 knots. Of course that inaccuracy doesn't matter as long as you know what to expect. Congratulations on your new "job" as reviewer! I'm a great fan of your scenery so I'm sure your reviews will be delightful. I think you've struck a good balance between honesty and developer support. The positive component of your review is right on. 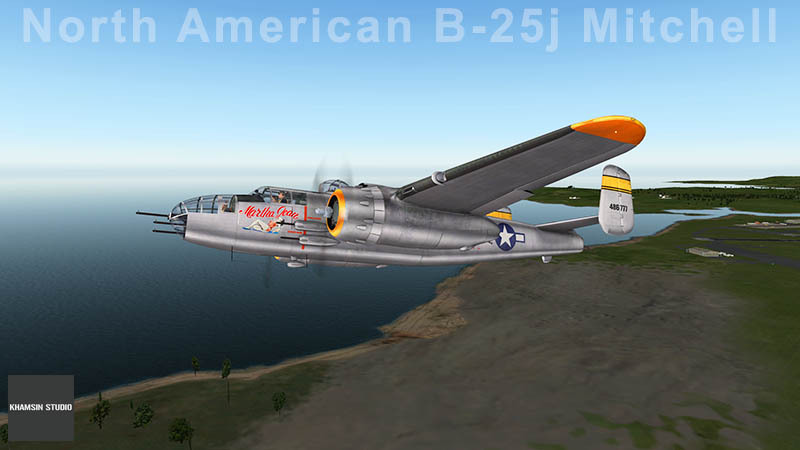 Khamsin's B-25 is in my highest category, all of which are so great that I can't begin to compare them with each other. 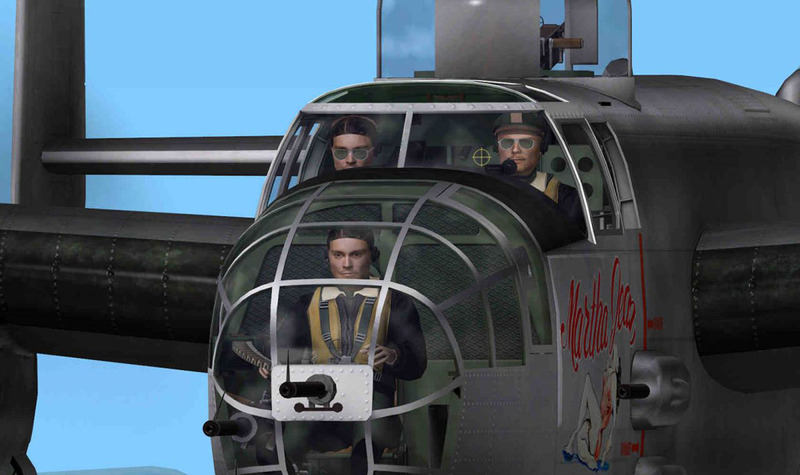 You may like to go to "scribd" and download the Mitchell B-25 training manual. This is a 1944/45 training manual dealing in all aspects of the bomber equipment and flying technics. 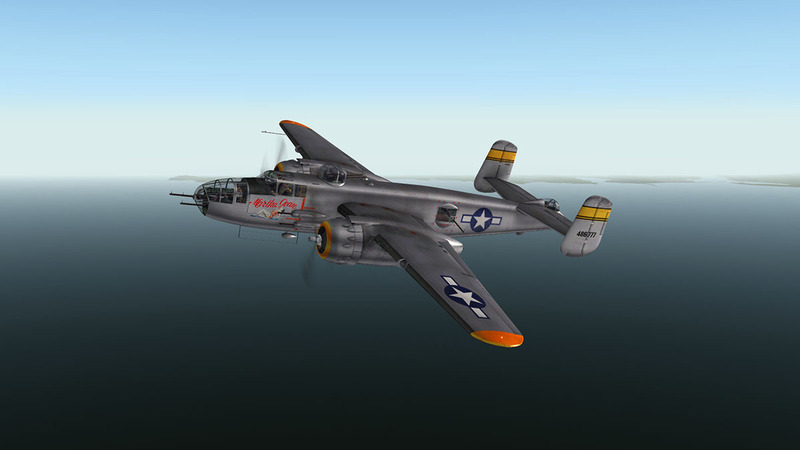 You are correct a great Kasmin addition, I fly from EGOD, which fits in well with the B-25.